Our wireless printing system allows you to send documents to the library’s public printers from your own laptop or mobile device. Note that you must be connected to the CML-Public wireless network to use this printing system. The system is accessible to all operating systems, including Mac,Windows, Android and iOS. 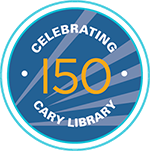 Open your web browser to https://print.carylibrary.org/myprintcenter. 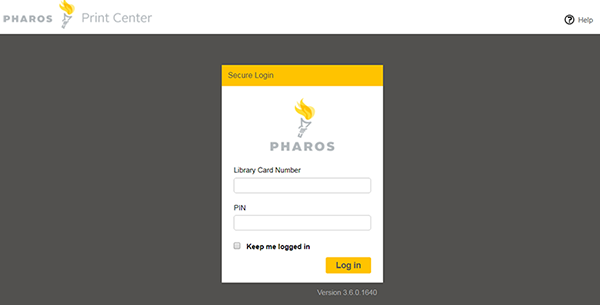 The Pharos Print Center site opens with a secure login box. Login with your Minuteman library card number and PIN. Library staff can reset your PIN if you do not know it. Upload the file(s) to be printed using the Upload button in top navigation bar. Hover over the Upload button to see which file types are supported. Currently, the file types that can be printed are Word, Excel, PowerPoint, PDF, images, text (CSV, RTF, TXT) and Visio®. After uploading all files you wish to print, hit Refresh in the upper toolbar. After uploading files, the word 'Processing' will not go away until the Refresh button is pressed. Select each file individually to set the print options at the bottom of the screen. The default is double-sided black-and-white printing. You can choose color, single-sided, a range of pages within the document (rather than the full document), and the number of copies. You can also choose to print more than one page on a sheet of paper, using the Pages per side option. Print options must be set individually for each file. Confirm that the document will print as you expect it to by clicking the Print Preview icon, which is either next to the document name or in the top right corner. The preview opens in a browser pop-up window. Release the print(s) at the release station or by asking staff at the Main Desk. Note that you must have staff release your prints if you are printing in color or if your total black and white pages for the day exceeds 10 pages. We recommend waiting to shut down your device until you’ve picked up your printed pages. You may print up to ten black-and-white pages each day at no charge. Each page over ten is $0.10 per page. All color pages are $0.25 each. The cost of each document is listed in the Cost column to the far right. The Payment Method box in the lower left corner reflects your balance of free prints; it is updated after print jobs are released from the print release station.